We’re looking forward to our next market! 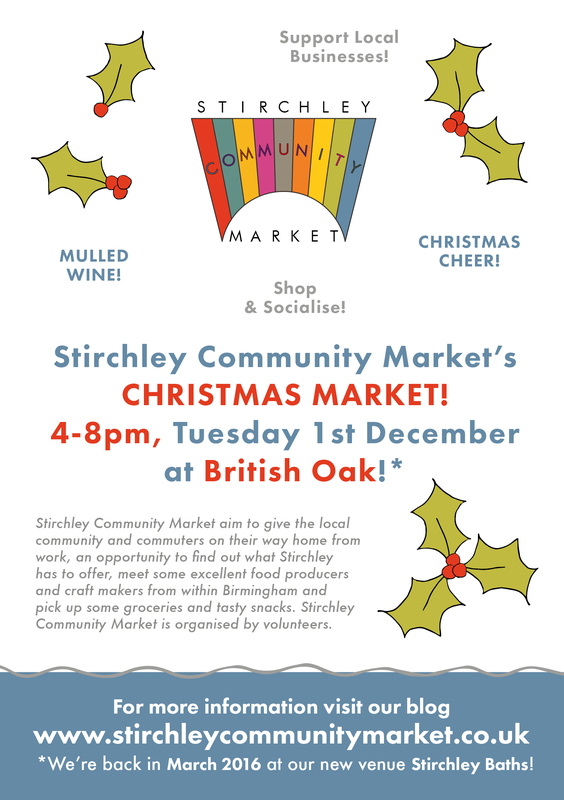 It’s the last market of the year, and the last market at the British Oak before we move to Stirchley Baths in March 2016! We will be sharing the venue with The Laughing Sole, and will be having our market in the “snug” and spilling out into the patio area. JOIN US! Christmas shopping and Christmas cheer. 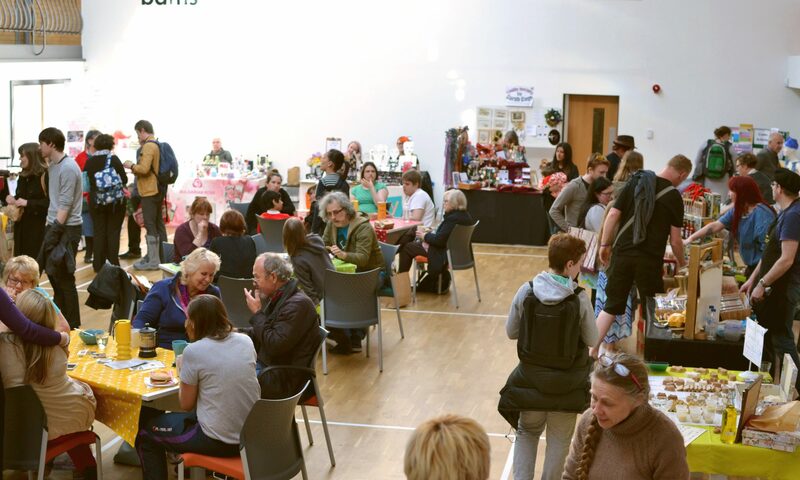 Stalls include: Cuffufle Preserves, Pacha Conservation, Straight from the Cow, Pip’s Hot Sauce, Mrs Mills Makes Cakes, Sophie Wiggins Silversmith, Working Clasp Jewellery, Vegetropolis, Curds & Whey, Happy Gut Hu,t Drop & Swap, Loaf, Kneals Chocolates and NEW TO THE MARKET Bunny Street. We hope to see you there. Watch out for the mistletoe on your way to the mulled wine!